We took a break from Ho Chi Minh City (and the south) for a quick trip to northern Vietnam. 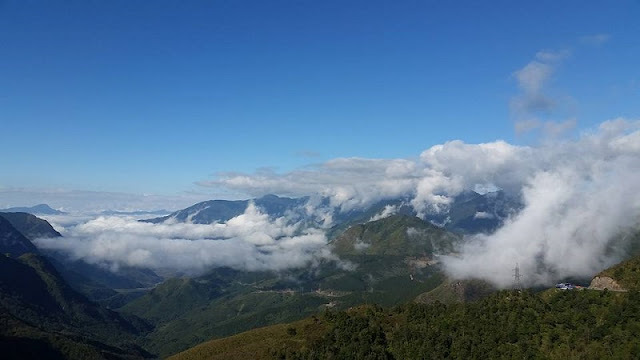 This included a trek through Sapa – one of of Vietnam’s most visited hill stations. 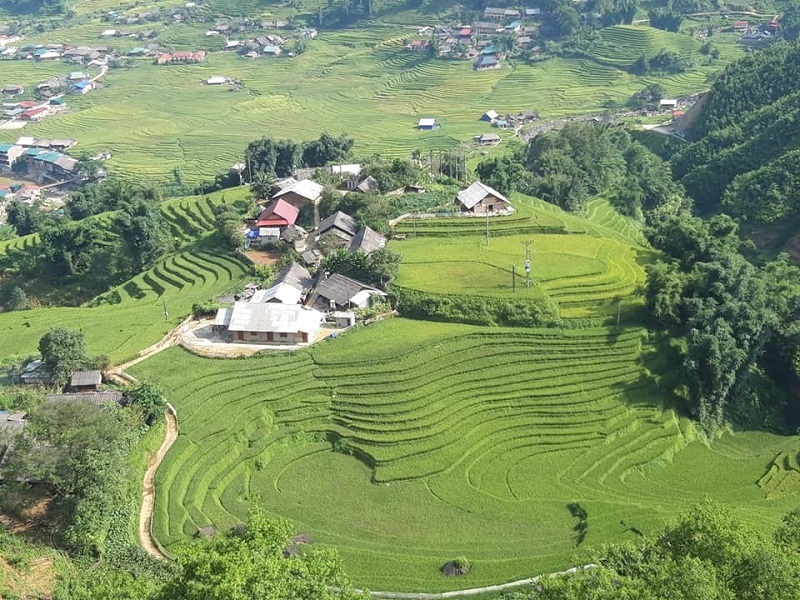 This is our diary of the Sapa trekking and homestay experience. 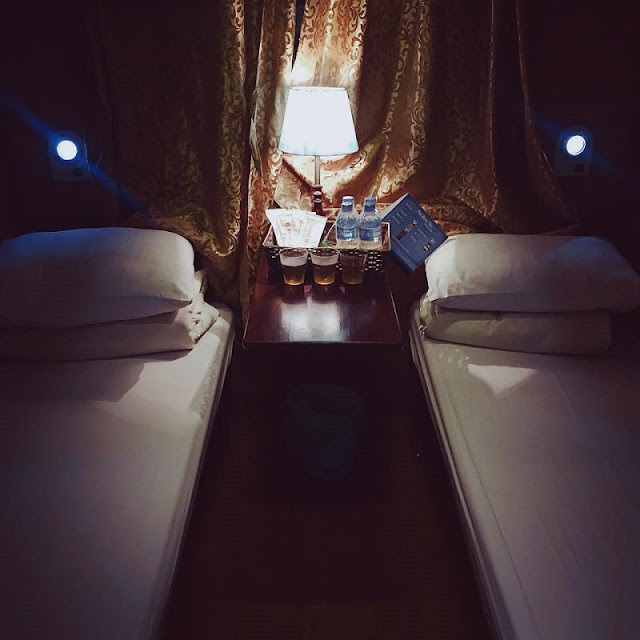 It’s 8:15 pm on a Saturday night and we find ourselves on the overnight train from Hanoi to Sapa – the start of the journey for our Sapa trekking tour. We realise – in over 18 months of travel, this is actually the first time we’re travelling to our next destination by train. Shocking, I know! Our four berth cabin is cosy, and we’re supplied with a pillow and blanket. The train makes a move at 9:00 pm and luckily for us, it’s low season so no one else turns up and we have the whole cabin to ourselves. Score! After the initial excitement of being on a train wears off, we decide to go to bed. It’s a short eight hour ride to Sapa so we’re definitely not going to get enough sleep. 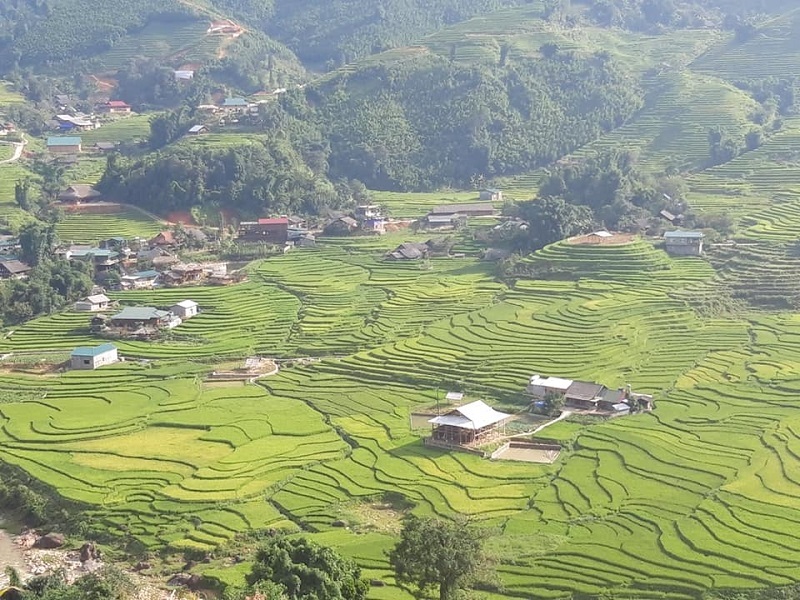 As the train nears the station in the morning, tour agents start knocking on our door and stick their heads in to ask us if we need a bus to Sapa or want to organise a tour. Oh yes, the train station is actually in the town of Lao Cai, about an hour away from Sapa and a hop, skip and a jump away from the Chinese border. Thankfully, we’ve got everything organised. We get off the train and quickly find our minibus driver waiting to take us to Sapa. About halfway through our journey, our minibus breaks down and all of us spill out on to the road to check out the beautiful scenery all around us. Before long, another vehicle arrives to take us on our way. We arrive at the agent's office (the organisation we’re doing the trek with – more details below), have a shower and eat breakfast. We meet our fellow trekkers – only two other people – Kevin & Antonia. Soon after, our guide arrives and introduces herself – Lo Thi Sang or Sang as we would call her for the next couple of days. Sang speaks English very well. She is talkative, full of energy and puts us all at ease straight away. We start walking through the town and she points out a few things to us, tells us a story about the ‘dragon mountain’ and explains to us that she is from the Black Hmong tribe. Black because of the colour of their clothes not because they’re actually black-skinned. Apparently she is asked this a lot. Soon a bunch of other Hmong women start to trail behind us like groupies. We know they’re walking with us so they can eventually try to sell us something but it doesn’t matter. Most of them can speak English so we just chat to them and have a laugh with them until they ultimately leave us be. All of us find ourselves saying this over and over again. Through the day we trek through the mountains, rice fields and the local tribal villages. The scenery remains the same but the views change and it’s breath taking every time. It had rained the night before and more rain was expected but thankfully, we didn’t get any. Sang tells us that although treks are often a bit more difficult in the rainy season, it’s actually the best time to see Sapa because everything is so gorgeously green. Later in the year, the scenery turns yellow and even brown and it’s not quite the same experience. We’re immediately more thankful! We have lunch at a small shack and stop for a little break before continuing on. Along the way, we run into a lot of local children who stay home while their parents are out walking on the farms. We also see a lot of ducks, chickens, buffalo and pigs! The more buffalo you have the more wealth you are, according to Sapa’s tribes. Sang turns out to be incredibly knowledgeable about Sapa, about her tribe and about the other tribes that live in the region. She offers information in conversation and it’s never boring because she has a really great sense of humour. She is very curious about all of us and asks a lot of questions about our countries as well. She also quizzes us with tricky grammatical questions about the difference between “misty” and foggy”. Our trek mates, Kevin and Antonia are really friendly too and before long we’re all joking around, getting to know each other and taking selfies. It’s really good to have a small group of only four people as it’s a more intimate experience and neither is it overwhelming for the guide.